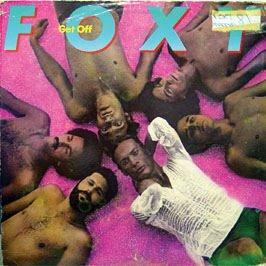 "Get Off" gave Cuban-American group Foxy, as well as TK Records, a bona fide mainstream hit. Miami boasts, of course, a reputation as a major clubbing center — but in decades past, the city is also where a big chunk of clubbing music actually got made. Most histories of disco music focus on New York legends like DJ Larry Levan and clubs like the Paradise Garage, where funk and R&B met a new dance beat. But Miami had its own disco sound — and not just that of the Bee Gees, who did, in fact, record major material like their 1975 album Main Course here. Not only did Miami have a disco sound — one influenced heavily, unsurprisingly, by Latin percussion and funk — the city had a full-on disco music industry going. That came courtesy of Henry Stone and the labels under his TK Records umbrella, all becoming so influential that HistoryMiami is now creating a special collection devoted to it. Miami New Times reported fully on the new project last week, when they announced the creation of the Henry Stone Collection. HistoryMiami, after all, is taking over the larger Miami Art Museum space when the art museum moves to the forthcoming Museum Park. That means more room for exhibits and archival collections about relatively recent history. In that New Times blog, pseudonymous writer Swampdog repeats Stone’s claim that he invented disco when he released George McCrae’s 1974 hit “Rock Your Baby.” That’s not quite true. Again, Miami was a little behind the scenes in New York and even Chicago then, and Rolling Stone had already published a story about disco as a genre in 1973. Still, that McCrae track was, inarguably, one of the budding style’s first mainstream hits, peaking at number one on the Billboard Hot 100. You can read the whole story of the archive, and of TK Records’ other, non-disco hits here — but there’s nothing like a little dance music for getting through the end of the work week. So in that spirit, here are 10 essential TK disco records that Miami can claim. A couple are deep cuts recognized most easily by vinyl collectors, while others are, well, still inescapable today. Written by Harry Wayne Casey and Richard Finch of KC and the Sunshine Band, here’s the song that launched a thousand disco ships from the TK stable. It’s far slower than most of the commercial fare the average listener recognizes as “disco.” But the snare-driven rhythm and four-four dance beat take this definitively out of plain soul territory. KC and the Sunshine Band were definitely Stone’s greatest commercial success story. The KC of the group, Harry Wayne Casey, started off as a part-time employee at TK before creating his own group and penning major hits for others. His funk-influenced but pop-structured style came to basically epitomize the sound of commercial disco. Seriously, can you go to any kind of disco or ‘70s-themed event without hearing this one? Of course, KC’s hits are numerous — “Boogie Shoes,” “I’m Your Boogie Man,” “Keep It Comin’ Love,” to name just a few. An entire subgenre of disco records focused on orchestra sounds and few vocals. Miami’s version of this was, again, heavily Latin influenced, though not necessarily always as straight-up tropical-sounding as the records coming out of New York’s Salsoul label. The amusingly named Rice and Beans Orchestra put out a string of 12-inch singles like this, the biggest club hit among them probably being this, “The Blue Danube Hustle.” It’s the kind of thing that disco haters would mock — a disco-fied version of an older song — but, hey, instrumental disco records also provided an important bridge into the development of house music. Brown, a soul singer from the Chicago area, reportedly wasn’t even that into disco, but knew it as the style of the times — and knew TK was one of the major labels scoring hits. So he took an early demo of this song to Stone, who thought he heard a hit. He was right. The final version, recorded at Miami’s Studio Center, sold more than a million copies and peaked at number 18 on the Billboard Hot 100. This absolute disco classic indeed, surprisingly, has a Miami connection! Songwriter Frederick Knight wrote this for Ward, originally in a slower version, for his own label, Juana. But when the song failed to take off, Knight tapped Stone to work some magic. Stone sent it off to New York DJ Richie Rivera for a faster remix, then re-pressed the single and distributed it under the TK Disco label. Voila, a hit (although her only one) for Ward, and again, one of Stone’s biggest commercial successes. This wasn’t quite as big a commercial hit as “Get Off,” but it did pretty well, landing the group, once again, on the national TV circuit. Basically, we just wanted to share this clip in which the show host shouts out the South Florida music scene, and Ledesma rocks a sweet pair of shiny, turquoise leggings.